"Suzette is my younger sister and my best friend. She is the glue that has kept our family together after our mother passed away. She will do anything for you and has given so much of herself. She always puts others first and lately has been working so hard at her job yet still manages to care for our father and makes sure each member of the family feels special. 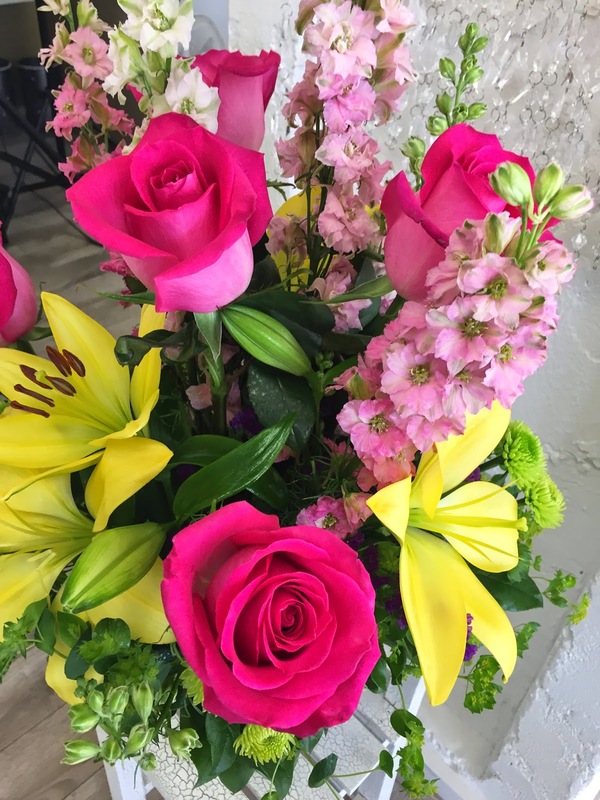 I thought she was deserving of some recognition and a surprise and what better than a beautiful arrangement of fresh flowers from Cactus Flower!!" Just because International Women's Day has passed, it doesn't mean we can't continue to recognize the incredible women who continue to inspire us. It's people like Suzette who make this world a better place for us all. Thank you for your strength, Suzette! Do you have someone in your life you'd like to honor? We'd love to hear about it, so please share your story with us.